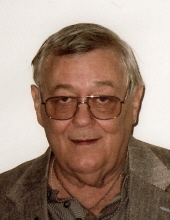 Plant a tree in memory of Anthony "Tony"
Janesville, WI (Formerly of Mayville, WI and Evansville, WI) - Tony J. Milz, 75, passed away peacefully at home surrounded by loving family January 29, 2019. He was born July 5, 1943 in Monroe, WI to parents Peter Paul Milz and Lois Boeck. Tony graduated from Mayville High School in 1961. Upon graduation he then went on to College, attending Platteville College for 2 years, and Oshkosh for 1. Upon his father’s passing he left college to return home to help his mother run the family tavern. In July 1966 Tony was drafted into the Army where he served until April 1968. In 1969 Tony was in marketing for Mayville Engineering Corporation. Later in life he was a bartender for many years at Union Tavern that his brother Paul owned and operated. Tony loved traveling to new places, was an incredible accomplished athlete in his younger years, he loved watching the Milwaukee Brewers, the Milwaukee Bucks, the Green Bay Packers, and the Wisconsin Badgers. Tony had an incredible smile that could make the sun shine on a cloudy day, and a laugh that was very infectious. Tony is survived by his children, son, Jason Milz and family, daughter, Jaimie Milz Umentum and family; brother, Norm (Janet) Milz; aunt, Darlyne Bernet; nephews, Steve (Holly) Milz, Danny (Jenny) Milz, Dave (Margie) Milz, Dave Lehr, Ryan (Kelly) Milz; nieces, Judy (Danny) Booker, Brenda (Lenny) Coffey, Dianne (Ray) Hughes, Cindy (Dave) Nulph, Rhonda (Jamie) Jones; two special sister in laws, Lucille Milz, Linda (Buzz) Lassow; a special lifelong friend Robert Birkholtz; also a special friend Mary Brzezinski. He was preceded in death by his parents; brother Paul Milz; Brother Frank (Wally) Milz; sister Mary Lou (Duane) Lehr. Funeral services will be held at 1:00 p.m. Saturday February 2, 2019 at the Ward-Hurtley Funeral Home Evansville, WI with Pastor Gary Shields officiating. Visitation will take place on Saturday February 2, 2019 at 11:00 a.m. until the time of service. Burial will follow in Maple Hill cemetery Evansville with Military Honors provided by V.F.W. Post 6905 Evansville. The family would like to give a special thank you to a very special niece Holly Milz for taking such incredible care of him and giving him such great comfort to the very end. And also great niece Heather Milz for her assistance in his care. To plant a tree in memory of Anthony "Tony" John Milz, please visit our Tribute Store. Military Honors provided by V.F.W. Post 6905 Evansville following graveside services in maple hill cemetery Evansville. "Email Address" would like to share the life celebration of Anthony "Tony" John Milz. Click on the "link" to go to share a favorite memory or leave a condolence message for the family.